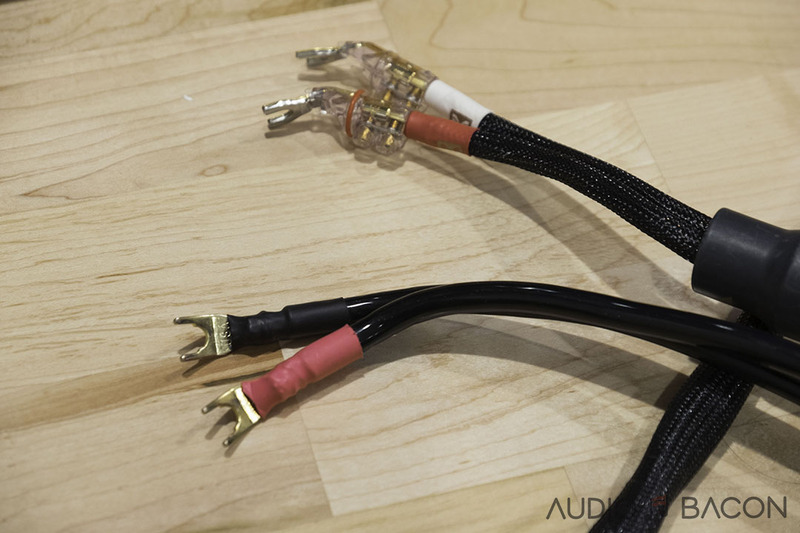 Audiophile cables should be considered a serious component of an audio system, not just auxiliary gear. I used to believe their impact was subtle but after listening and testing over a hundred cables, choosing the proper analog/digital cables is the difference between a flat and congested sound versus an open and detailed one. 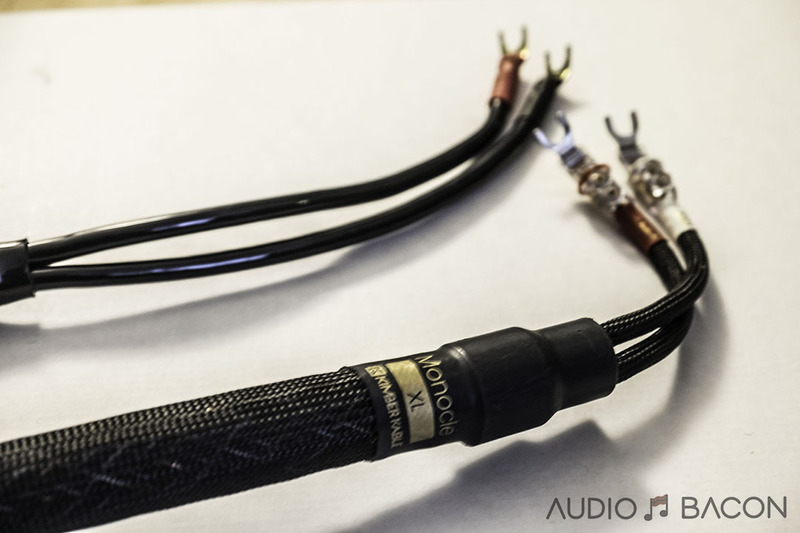 Many believe the best speaker cable is no speaker cable and that anything to do with tone control should be in components such as amplifiers. Others prefer to use cables as “seasonings” for their components. A good rule of thumb: If you forget to pick up the kids from school because you didn’t want to move from your listening position, it’s a good sign. Due to limited tuning options, I personally use RCA ICs to adjust tone to my preferences when driving my Omega Compact Alnicos directly from the Chord DAVE. Onto our other reference room, we’ve been enjoying our 8-gauge Kimber Monocle XL speaker cables ($1,762/pair) for over a year. It was an amazing pairing with our B&W 804 Diamond loudspeakers and PS Audio BHK 250 Signature amplifier. There’s this sweet, organic, and comforting sound that is absolutely addictive. The idea of swapping it out never crossed our minds. The sound and performance of a speaker cable (bass-heavy, forward-midrange, warm, cold, bright, dark, smooth, etc) are attributed to the combination of impedance, inductance, and capacitance. With the former two having a larger impact on sound quality. Many manufacturers have developed their own designs to reduce the total reactive impedance. Some of these qualities are difficult or impossible to measure so many designers resort to trial-and-error. The primary goal is to get as much of the source material to your speakers with minimal energy loss and signal degradation. 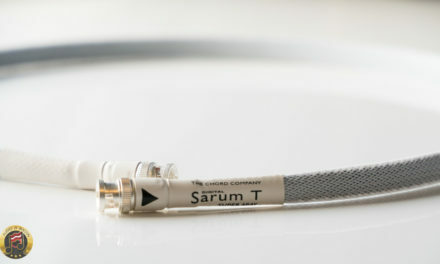 I find that as long as the manufacturer uses high purity conductors and high-quality shielding/dielectric material, it’s tough for an analog cable to sound terrible. They all just sound different due to their design approach. Minimize electrical resistance – The ability to properly energize the speaker’s voice coil and handle high current transients is imperative for a speaker cable. For that reason, this is where most manufacturers will focus their attention. The type of conductor, dielectric, geometry, gauge, etc used will all determine the overall impedance. To a certain extent, minimizing cable length is generally a good idea for most cables hence the reason why some audiophiles install dedicate power lines closer to their speakers. You could also use a higher gauge for longer distances. Minimize skin effect/capacitance – Higher frequency AC currents tend to go towards the outer surface of a conductor, causing signal attenuation as the energy is untimely stored and released from the dielectric. Using a suitable dielectric and a thinner wire will help mitigate skin effect. Some even use helium, which is 15 times lighter than air, as a dielectric. As far as geometry, litz and braid wiring is also a very popular approach. Solid-core conductors are more susceptible to skin effect but it really depends on cable design and metallurgy. A lower dielectric constant means a deeper and wider soundstage with more resolution and less sonic smearing. Minimize inductance – The opposing magnetic field also attenuates free-flowing current. There are many approaches, such as utilizing multiple twisted-pairs. Gauge – Resistance is inversely proportional to a cable’s cross-sectional area: The larger the gauge, the lower the impedance. Depends on your needs but typically a minimum of 18AWG. Most recommend something closer to 12AWG or 10AWG in total gauge. Connectors – Bare wire is king. If you could ditch the speaker terminations, do it. Conductors – As far as copper, OFC is probably the minimum you should look for. I think in a resolving system, the purity of a conductor is clearly audible. I’ve personally tested a few copper wires and there’s an audible difference between OFC and 6N UPOCC. 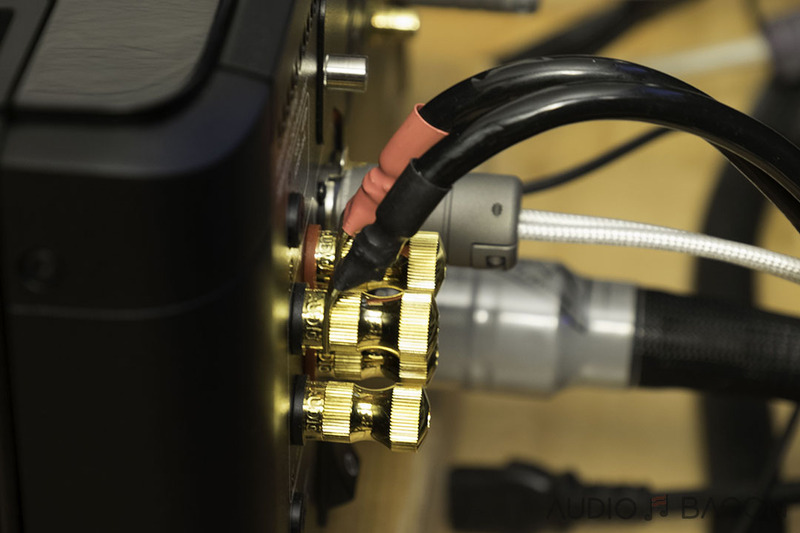 Damping factor – This determines how much control an amp has over the speaker drivers. The more control you have, the faster the transients, less smearing, tighter bass, and better focus. The damping factor should generally be more than 50 ohms. However, there is such thing as overdamping, especially for higher efficiency drivers (bass is more shallow and less “real”). You also don’t always want a lower output impedance/high damping factor amp. Electrostatic speakers, for example, have higher impedances at low frequencies so a low damping/high output impedance amp will provide more bass. Plenty of reviewers won’t review cables because they’re largely system dependent. Speakers aren’t purely resistive and some amplifiers are better at driving certain loudspeakers than others.Musical signals always present a varying load to your amp. A speaker cable could even change the frequency a crossover operates at. There will always be some resonance but some companies have anti-resonant terminations. After testing numerous analog/digital cables on wildly different systems, I agree it’s system dependent but I also believe the “flavoring” still readily carries over from system to system. If a cable sounds dark on one system, it’ll most likely sound dark on most systems. Luckily companies like The Cable Company exist, you have to find out what works for you, and your preferences might change over time. Trust your ears. 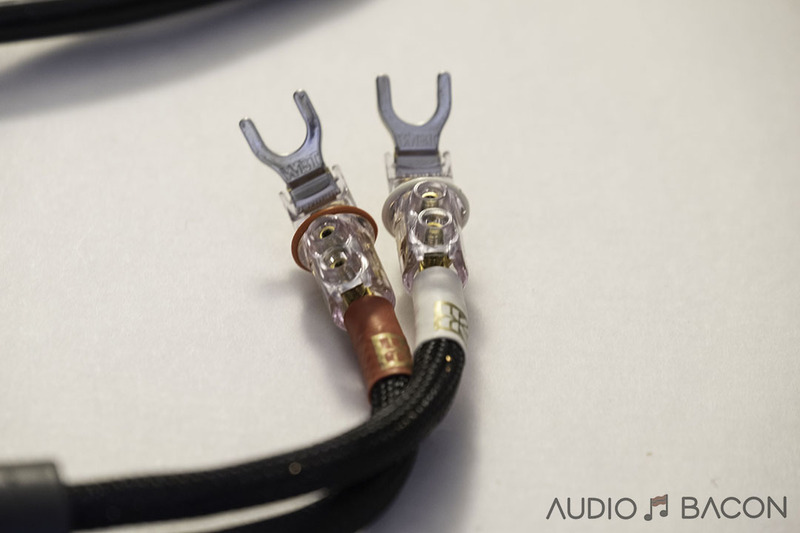 With more than 10,000 individual strands of OFC copper, the award-winning Sapphire Reference speaker cables will drastically improve your system performance. Due to its construction, our Sapphire Reference comes standard with bi-wire terminations but can be used in single-wire applications. n designing the Danacable™, we choose to get back to basics. Our state of the art Diamond Reference comes in at over 25,000 strands, thus reducing R to vanishingly low levels – only 2.3 milliohms in a 2.5 meter pair (that’s only 0.0023 ohms!). 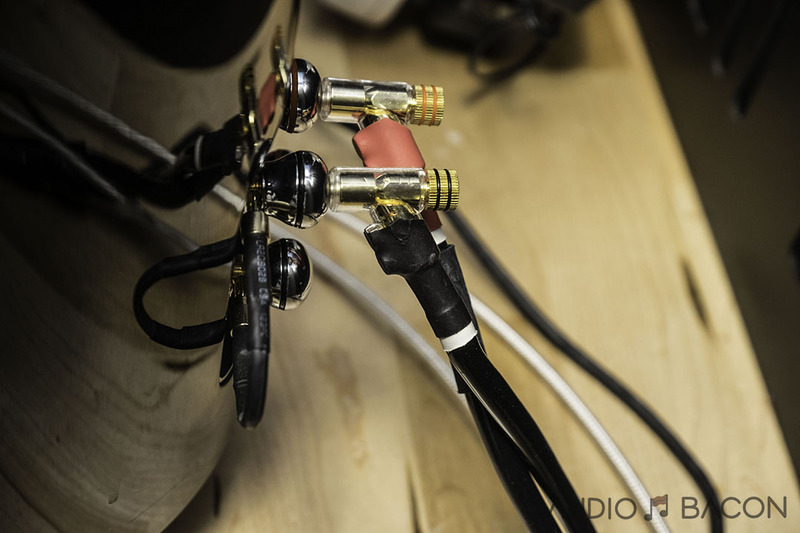 We construct our cables with a patent-pending technique to reduce L and C to a minimum, which ensures that any effect they might have is well outside the audio range. The chart below sums up the specifications for our cables, we believe these to be the best in the industry. I’m a huge fan of Danacable’s USB cable and Abyss/Utopia headphone cables and was curious about their other offerings. 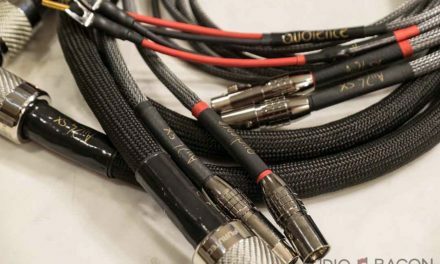 After watching Dana Robbin’s compelling demonstration, I was intrigued and requested a demo of his 4-gauge Sapphire Mk.2 speaker cables ($1,150/2.5m). 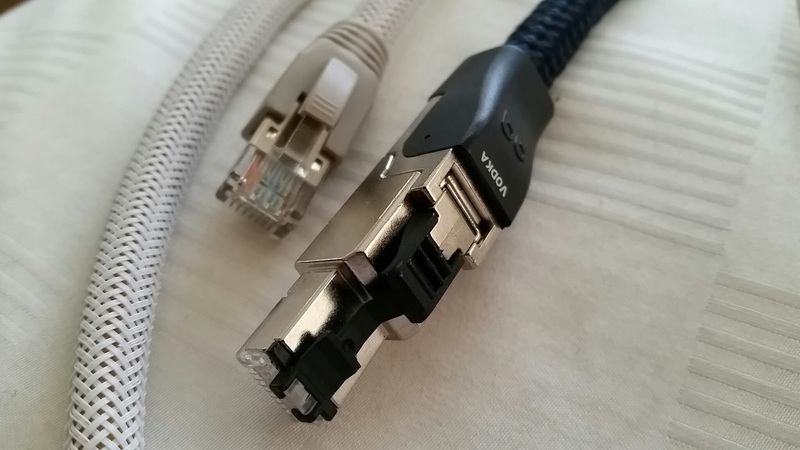 One thing I realized about Danacables…it has one of the longest break-in periods for both digital and analog cables. If you buy a fresh pair, give it at least 200 hours and you’ll be rewarded. The Danacable Sapphire cable sounded immediately cleaner and more “hands-off.” Piano and bass moves with perfect articulation, timbre, and speed. The Kimber Monocle had more bloom and sonic dust. There’s more “sharing of space” between the drums, guitar, and vocals. The Danacable clearly separates all the bandmates. 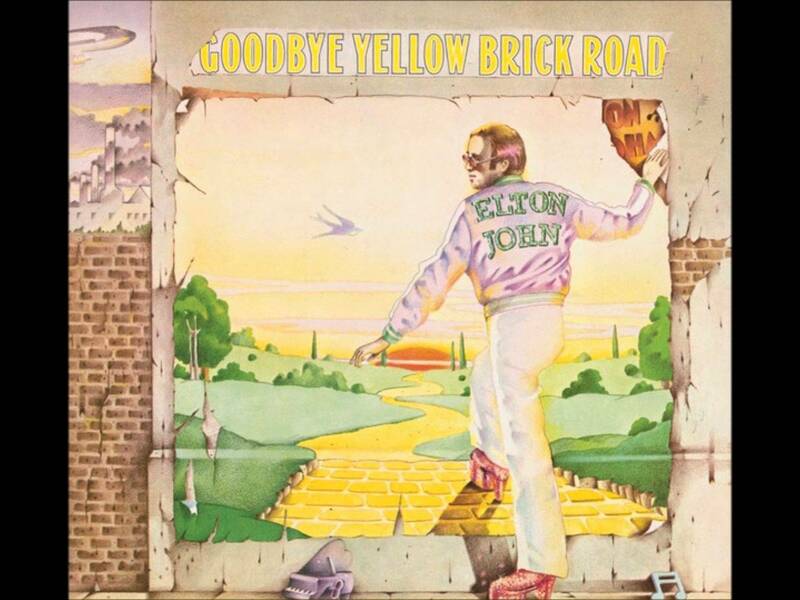 Elton’s voice is more intelligible with the Danacable while it bled more with the background singers and drums with the Kimber. The Danacable was quieter with more resolution. The Kimber had a lusher and more golden tone. Bass on the Kimber punches harder and goes slightly deeper but doesn’t have the tautness and refinement of the Danacable. The low-noise floor really helps the Danacable here. Harry’s voice and the audience just floats and exudes a visceral sense of air and realism during his storytelling introduction. The Kimber Monocle once again has more of a bloom and organic tone. It comes off as slightly veiled in comparison. The Kimber’s had a more forward midrange with a denser tone. The Danacable represents better depth, especially with the perceivable layering of background singers, cymbal taps, and trumpets. The Danacable has more of a heightened sound, it has more treble energy and shimmer. the Kimber is more relaxed, comfy and fluffy with a more softer treble. The orchestra and other actors seem to be closer in proximity with the Kimber while there’s more air around the actors with the Danacable. The Danacable provides a wider soundstage with more depth. The Kimber sounds more intimate. The rain sounds more delicate and “watery” with the Danacable and a bit more heavy and dark with the Kimber. With the Danacable, Ray Manzarek’s Fender Rhodes electric piano had quick and tactile leading edges with a physical transparency of key strikes. The Kimber cable was a bit softer and was not as resolving of the individual notes. 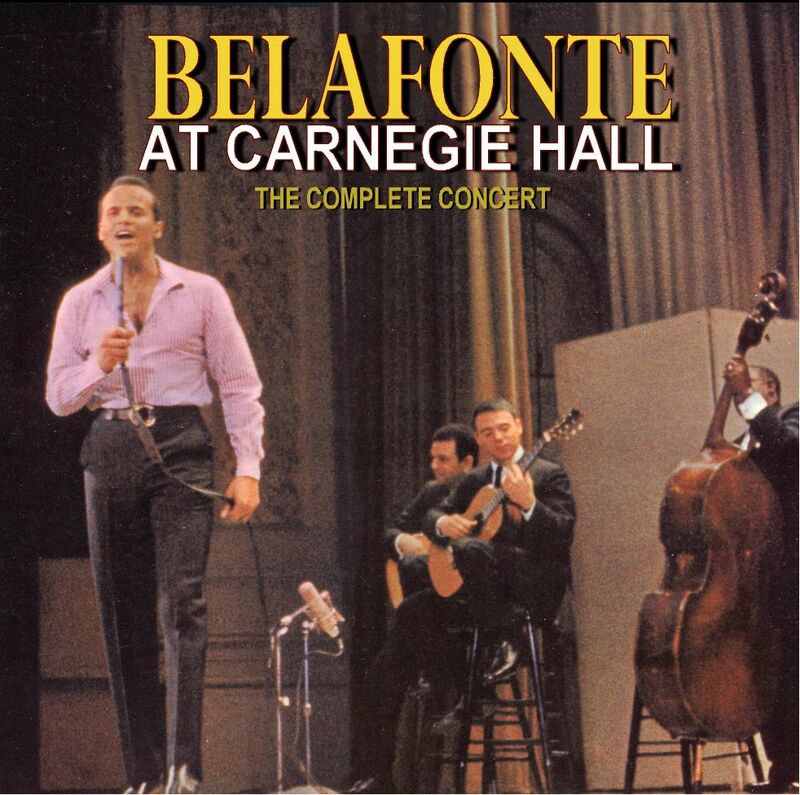 The rhymic hit of the kick drum and cymbals on the right side of the stage didn’t bleed with the piano playing off-center to the left (Danacable). With the Kimber, they’re closer together and less textured but the kick drum is more pronounced and weighty. The Kimber flows naturally with this recording. 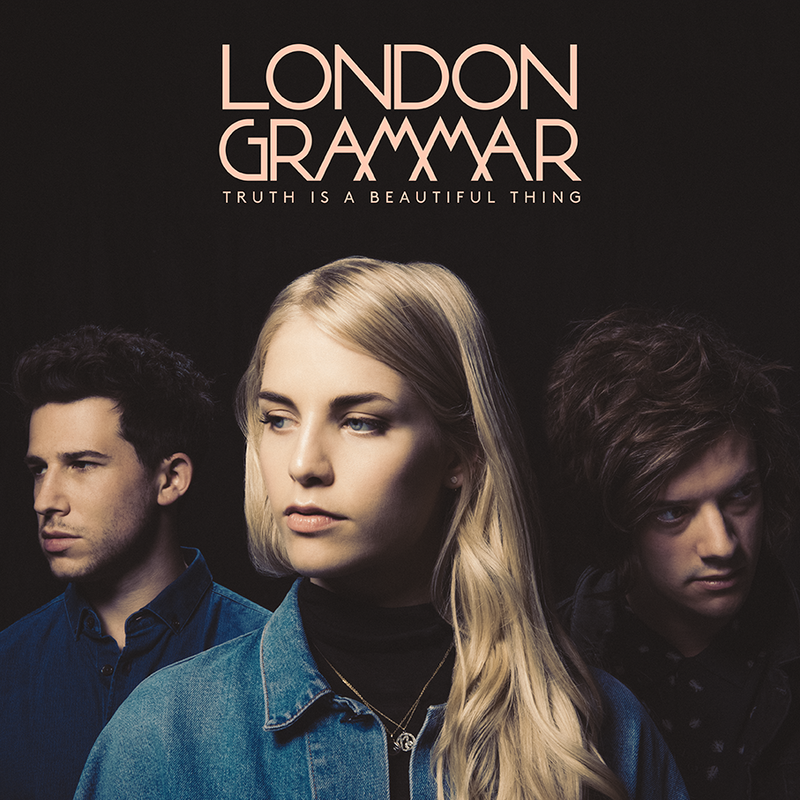 Hannah Reid’s voice blends beautifully with Dan Rothman’s gentle guitar plucks. Her voice is a bit thinner and the soundscape is a bit more neutral with the Danacable. Decay/reverb tails were more apparent with the Danacable due to it’s resolving capabilities. It stops a little short with the Kimber but still present. As she extends her voice into the upper registers, the Danacable breathes and opens up a bit more. The Kimber is slightly softer and calmer. There’s a musical coherence for both cables. 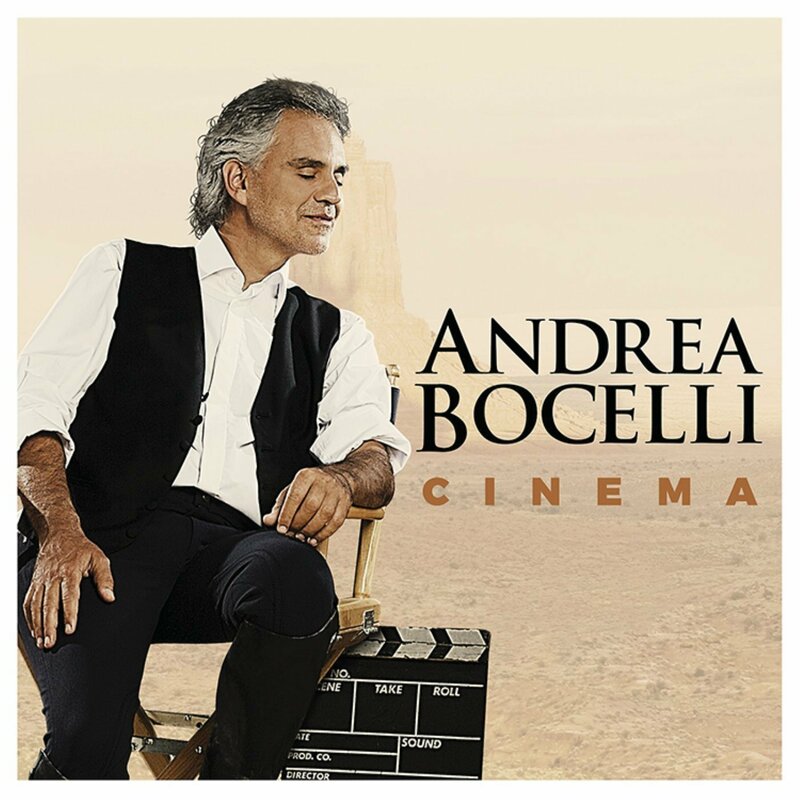 Bocelli’s duet with Veronica Berti with the accompanying orchestra sound like they’re on the same stage. The Danacable is overall more transparent and neutral while the Kimber has more rich colorations and tonal sweetness. The transparency and resolution of the Danacable Sapphire Mk.2 do create a more lifelike atmosphere, however. The goal of the Danacable™ is to “get out of the way” and to cause no audible effects. It allows the amplifier and speakers to do their jobs as intended. The Danacable™ design is not fancy and exciting but it works and we can prove it. 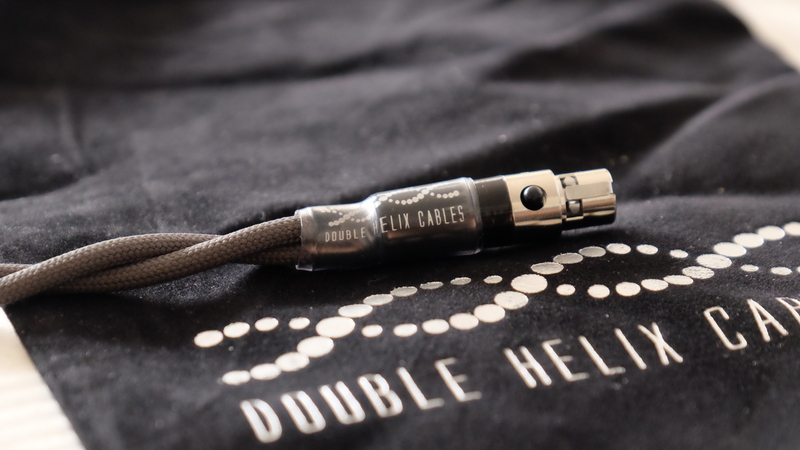 We have conducted many head-to-head comparison tests against other exotic and expensive cables. 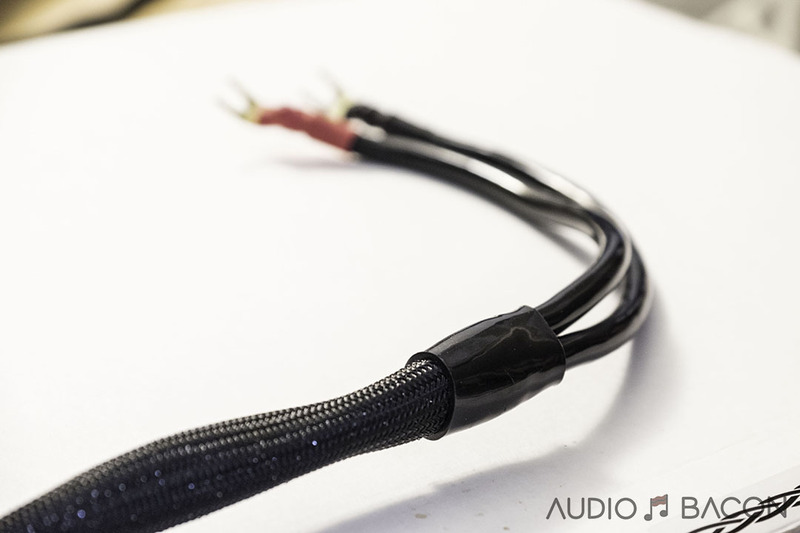 Our cables just sound better and work well with all audio components regardless of their technologies; they get out of the way and let the rest of the system do what it is designed to do. We believe Danacable is the best disappearing act in audio. Dana Robbins, the audiophile magician, showed us how to perform this disappearing act in our own listening rooms. After weeks of listening, we gravitated towards the Danacable Sapphire Mk.2 for most of our listening. We’ve grown accustomed to the sweet and cozy sound of the Kimber but the openness, clarity, and airy sound of the Danacable was too much to pass up. Combined with incredible resolution and timbre, it just made recordings sound more lifelike and enjoyable. Not to mention, it’s also more affordable. Long story short, we ended up swapping the Kimber Monocle XL for the Danacable Sapphire Mk.2. For this particular setup, we found it favorable to change as few cables as possible. The transparency and lack of coloration were attractive for this particular system and removed a variable from the tone equation. Unlike most “flavorful” cables I’ve heard, the Danacable is true to the signal, nothing more, nothing less. It’s as if the speaker cables just…disappeared.